1. 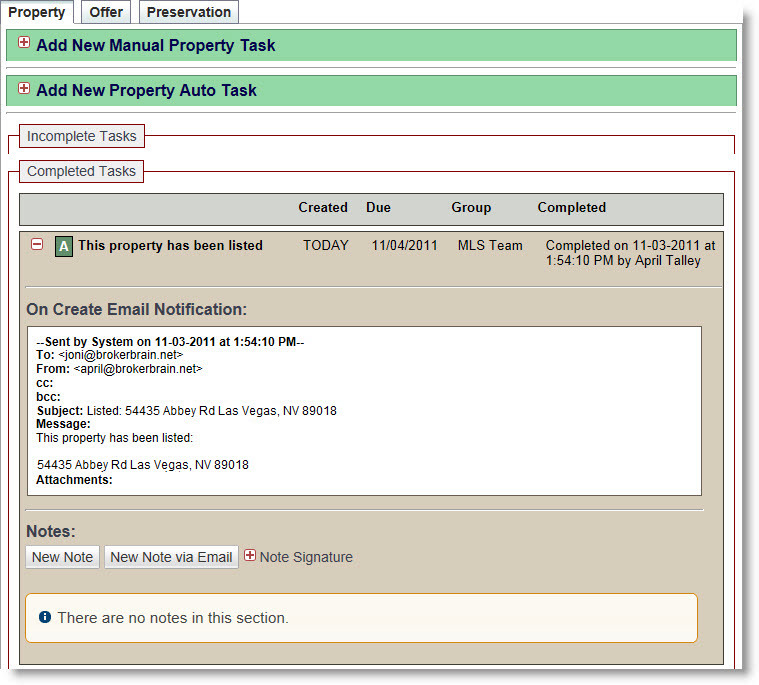 Open the property and click the Tasks sub tab at left. 2. Click on the Preservation sub tab at right. 3. If the auto task that triggered the email is both a Task & Email Notification, the task will be located in the Incomplete Tasks section. If the auto task was simply an Email Notification, the task will be located in the Completed Tasks section.